The result of ongoing research in the field of otolaryngology; Its a nasal decongestant made with organic plant ingredients, resulting in a gentle formula suitable for children. 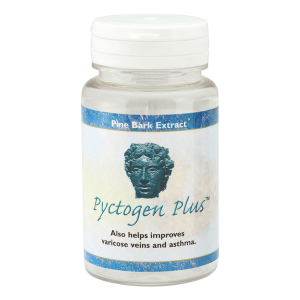 dryness and irritation of the mucous membrane. Otosan Nasal Spray Child is a solution containing sea water from Brittany with 1.1% concentration (hypertonic solution) enriched with organic ingredients such as Aloe Vera gel, Orange essential oil, Copper gluconate and Carboxymethyl Betaglucan. 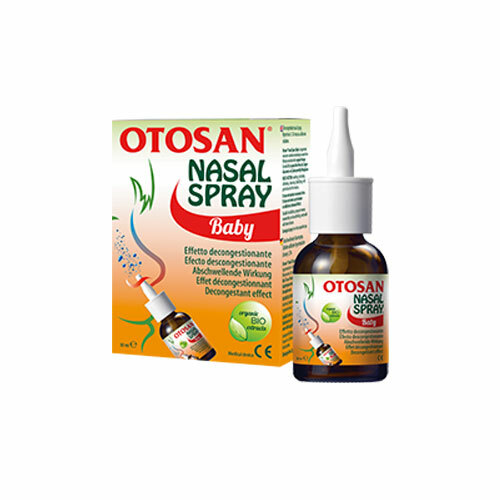 Otosan Nasal Spray Child acts locally by freeing the nose from excess mucus; helping reduce nasal congestion and inflammation. Otosan® Nasal Spray Baby hydrates and protects the irritated mucous membrane, providing quick relief. Its mucus-adhesive formula allows the product to be released gradually, so that it only needs to be sprayed once in each nostril. 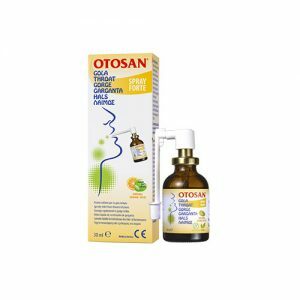 Otosan® Nasal Spray Child combines the cleansing and softening properties of a solution containing sea water from Brittany with organic Aloe Vera gel, organic Orange essential oil, Copper gluconate and Carboxymethyl Betaglucan, derived from betaglucan, which is extracted from the cell wall of yeasts and fungi.